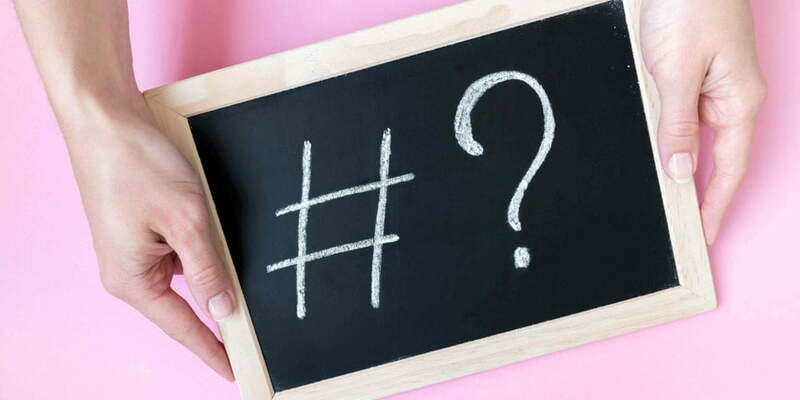 Are you using hashtags on LinkedIn? Don’t worry, it’s not a trick question. You’ve probably used hashtags on Twitter and Instagram because it’s the ‘done’ thing. You may have started using them on Facebook? But you might be caught in two minds about using them on LinkedIn. Are they even allowed on the ‘professional’ network? And if you want to reach a wider audience with your content, then it makes sense to start using them. But before you dive in, you need to know how to use them correctly so you can create the right impression. 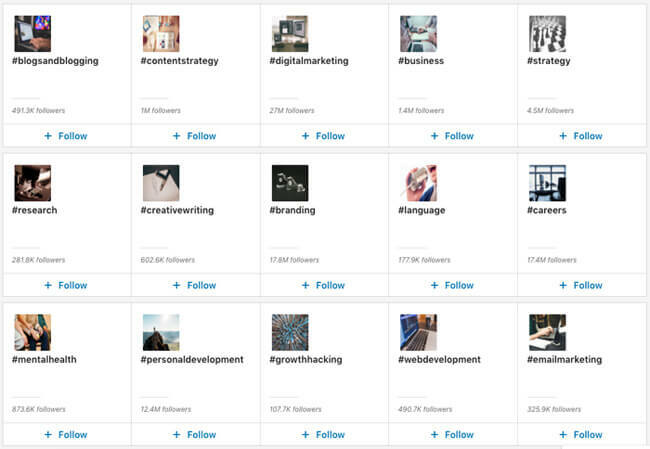 In this guide, you’ll learn how to use and optimize your hashtags on LinkedIn so you can get your content discovered by more people outside your immediate network. 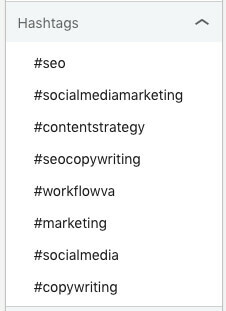 When did hashtags arrive on LinkedIn? Then, in 2017, hashtags reappeared on the desktop platform as part of the new user interface. But still, nobody knew what they were supposed to do or how to use them. @LinkedInHelp - why am I unable to post on LI w/o using a hashtag? Sidenote, I already looked in the help center and was unable to find a way to contact the support desk. So here I am, reaching out to LI via Twitter. But now, it’s safe to say that LinkedIn hashtags are back and working. So let’s take a look at how you can make the most of them. 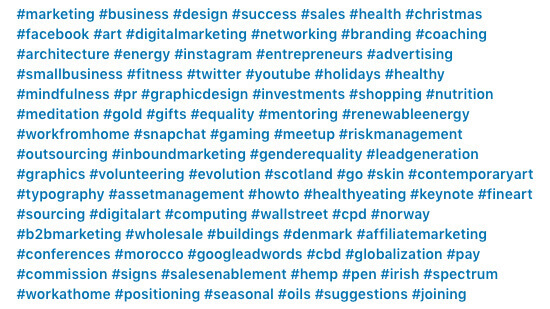 How do hashtags work on LinkedIn? 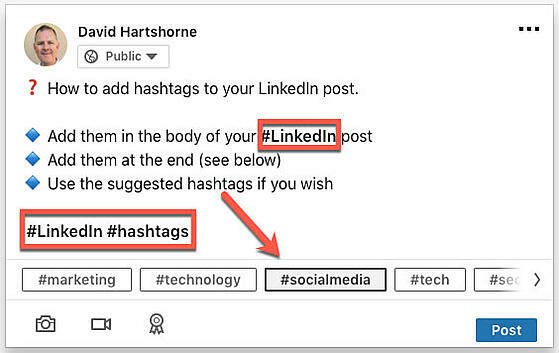 Hashtags on LinkedIn work in a similar way to Twitter and Instagram – to categorize content. Hashtags help users find content on a specific topic. And, if you add hashtags to your content, they’ll help you get discovered by other users, including those not connected to you. From a marketing perspective, that’s the winner – making your LinkedIn content available to a broader audience. Do hashtags work on LinkedIn Profiles and Company Pages? You can add hashtags to LinkedIn Profiles and Company Pages, but they don’t behave in the same way. They’re not searchable, and they don’t highlight as a blue clickable link, which makes them a non-tagged keyword. Finding relevant hashtags to follow, so you can join a conversation. Adding relevant hashtags to your content, so more people can discover you. From the homepage, click ‘Write an article’ under the status update field. You can include hashtags in the body or at the end of your article, like the post update above. Note: You cannot edit or remove hashtags after you’ve published your article. 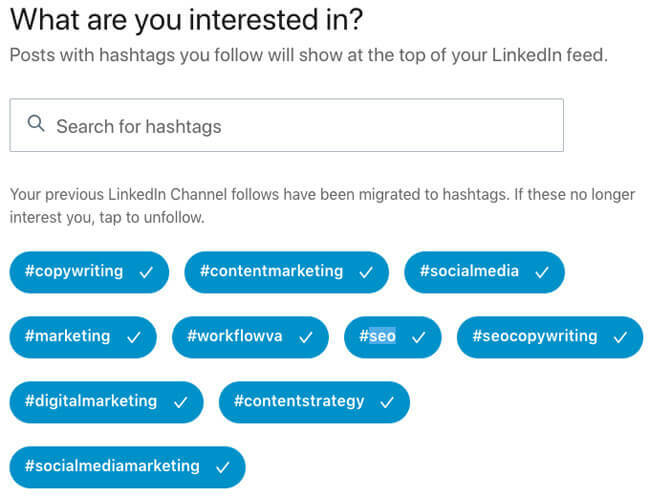 LinkedIn lets you find and follow hashtags on the topics you’re interested in. Note: LinkedIn displays the number of followers so you can see how popular a hashtag is. You can see what hashtags you’re following, and choose to unfollow any if you wish. Now you know how to manage your hashtags on LinkedIn, follow these tips to make the most of every post you publish. There’s no point using a hashtag if you’re operating in private mode on LinkedIn. Check your profile settings to make sure it’s public to everyone, else your content (including hashtags) won’t get discovered. There’s no limit to how many hashtags you can add to your content. But if you use too many your post will look spammy. Best practice suggests that like Twitter, three hashtags is plenty. 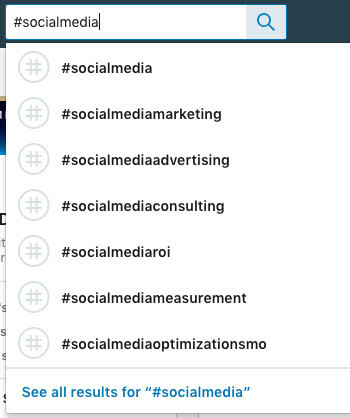 LinkedIn defaults to lowercase when it displays hashtags; e.g. #socialmediamarketing. But it’s considered a good practice to use capitals at the start of each word, so it’s easier for people to decipher; e.g. #SocialMediaMarketing. Note: Abbreviated acronym hashtags are not standard on LinkedIn. For example, on Twitter the common acronym for #SocialMediaMarketing is #SMM, but LinkedIn prefers the full version. It’s always best to add at least one sentence to your post rather than using only hashtags. Even when you post an image or video, add a short sentence along with your hashtags. A splattering of hashtags with no context looks lazy and spammy. And LinkedIn’s algorithm stops irrelevant, low-quality, and spammy content from reaching a user’s feed. I see too many people #adding #hashtags #like #its #going #out #of #style. Write your message first and then see if it makes sense to convert a word into a hashtag, or add a hashtag at the end. Don’t tag words that aren’t important. Remember to use a hashtag to categorize your post. For more tips, check out John’s article on how to create a branded hashtag for your business. Don’t test your hashtags like you would spaghetti – throwing a load of hashtags into a post and hoping one of them sticks is not good practice. 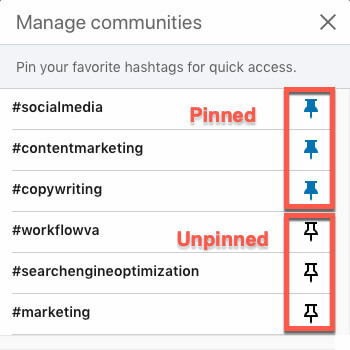 Instead, record what hashtags you’ve used on each post and see which ones bring the most engagement. Hashtags are alive and kicking on LinkedIn. 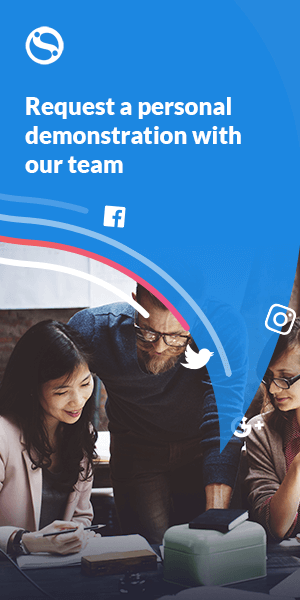 Use hashtags to make it easier for other users to discover your content, and help you find and connect with other users who share common interests. Add relevant hashtags to your content as you write posts and add comments, (or use the LinkedIn suggestions if you’re unsure), to make the most of every post you publish for your clients. But remember to follow the tips above to ensure your hashtags are a success. 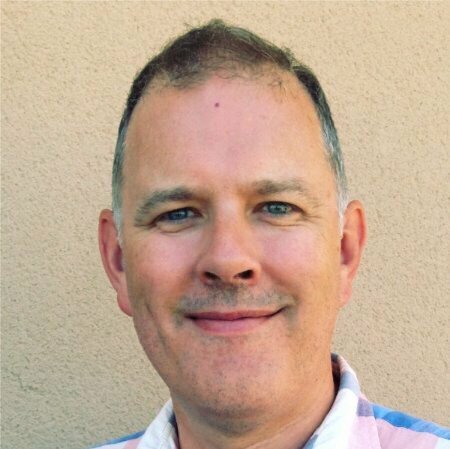 David Hartshorne is a freelance writer working with business owners and marketing teams to create detailed, actionable content that resonates with their audience. When he’s not writing about digital marketing and technology, you’ll find him chilling with a thriller in Spain. Planning your client's calendar for 2019? Did you know celebrating special occasions on social media can often help improve engagement rates? Think: #MothersDay or #Easter. © Copyright 2019 Sendible. All Rights Reserved.